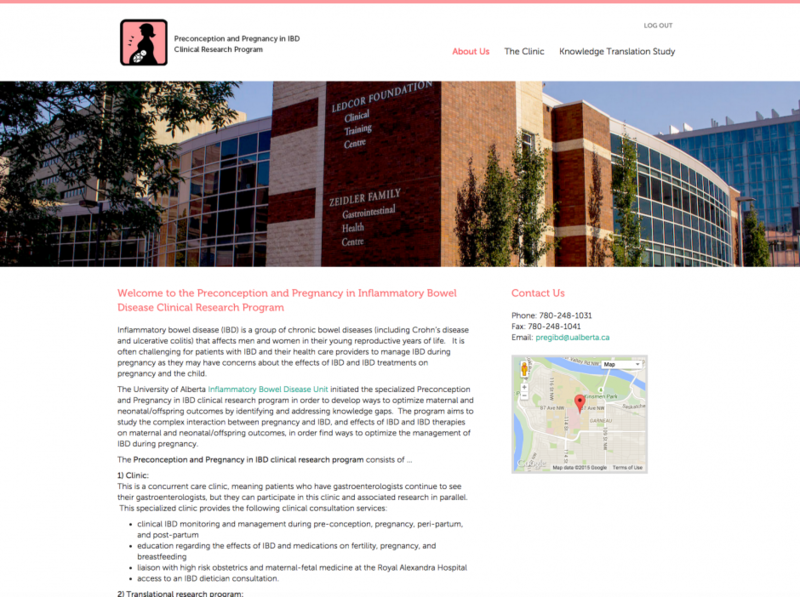 The University of Alberta Inflammatory Bowel Disease Unit initiated the specialized Preconception and Pregnancy in IBD clinical research program in order to develop ways to optimize maternal and neonatal/offspring outcomes by identifying and addressing knowledge gaps. The program aims to study the complex interaction between pregnancy and IBD, and effects of IBD and IBD therapies on maternal and neonatal/offspring outcomes, in order find ways to optimize the management of IBD during pregnancy. 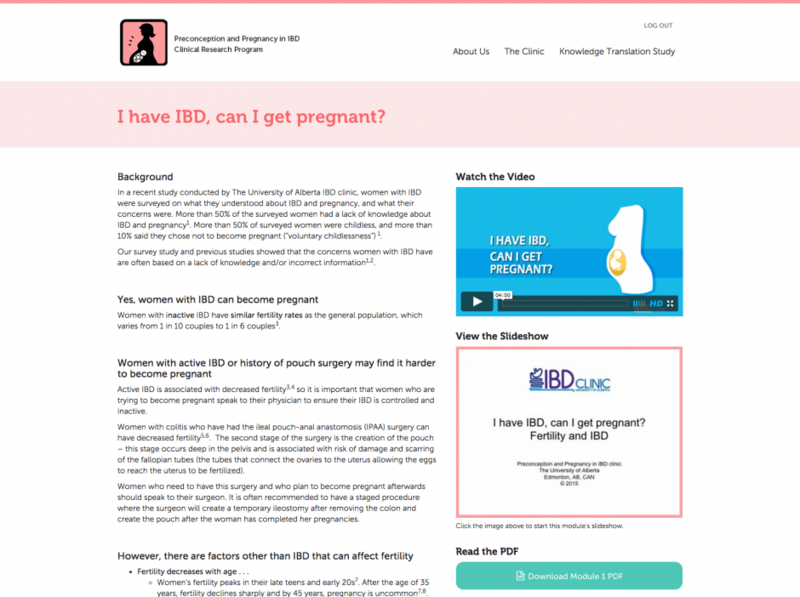 Project Summary: The Preconception and Pregnancy in IBD clinic came to Pixel Designs to with the need to develop a platform for their Knowledge Translation Study. We worked with the clinic to build out a digital study that divided patients into two user groups. User group one had access to resources such as readings, surveys, quizzes, presentations, and FAQ’s, while user group 2 was provided with the same resources with the exception of presentations. We had built in the ability to capture user data, as well as monitor the progress each user. We had also consulted with the clinic on how to parse through the data that was collected in order for clinicians to find ways to optimize the management of IBD during pregnancy.